So most of the time my shopping posts are a collage of items. However, sometimes a product is just so special that it needs its own post! This is exactly how I felt when I stumbled upon these earrings on Truffle Shuffle. I’m not even a cat person and I find them adorable! I just think they would be so fun to wear and would make an outfit. If I was to style them then I would team them just with a black top and skirt so they stood out. Plus, when you have quirky accessories, it’s better to keep the rest of your outfit simple, otherwise you sometimes end up looking a little too kitschy. Anyways, they are a rather reasonable price of £11.99 if you want to purchase them. 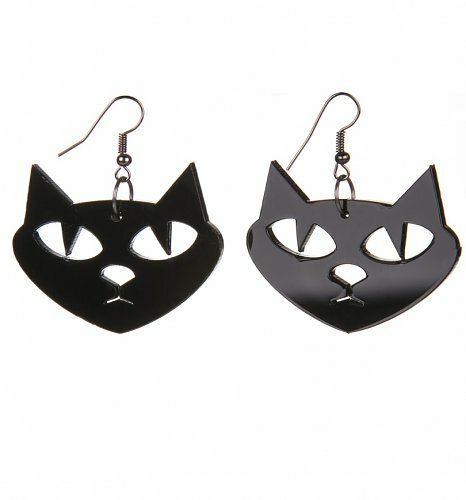 As I said, they are great for yourself, however, if one of your friends and family love cats, they it may be the perfect Christmas present too!